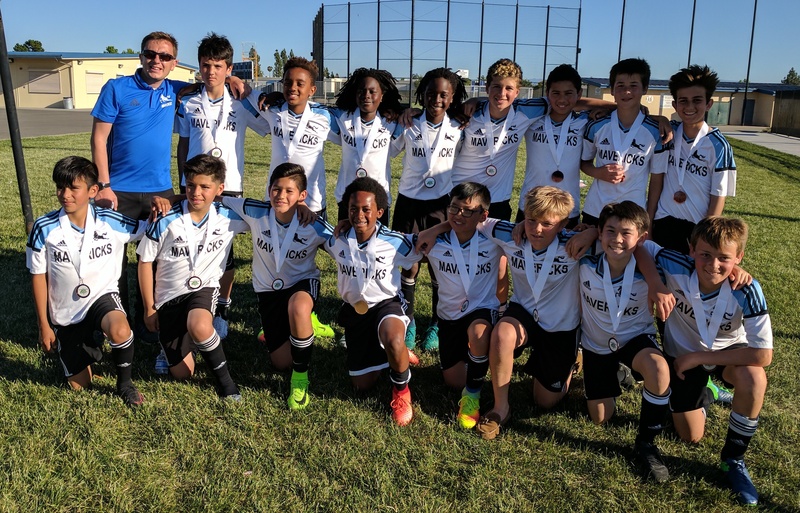 The weekend of April 29th and 30th, the Mavericks 2004 Boys Black team was competing in the Bay Area Spring Cup. The team returned home with third place after beating Ballistic 04 Premier boys in the consolation game. During the first day of the tournament the Mavericks 2004 boys swept aside Lecacy 04 boys from Southern California 4-1 and also beating Folsom Lake Earthquakes 5-1. On Sunday morning the Mavericks were narrowly defeated 2-1 by MVLA in a game that Mavericks dominated. After this lose, it set up the consolation game verus Ballistic SC. In hot conditions at Milipitas High School the Mavericks boys came home 1-0 winners to take third spot. Mavericks 2004 boys coach and Diretor of Coaching, Matt Fitchett felt the players worked hard to acheive a positive weekend but knows the players and the team can achieve greater things in the season ahead.